CKUT’s radio prom/garage sale/spring bash extravaganza! CKUT is throwing a party for all volunteers (past, present, and and future) on April 28th! It will be an amazing celebration, complete with a DJ, free food, a punchbowl, and a dance floor for all you party monsters. Wild times and chill vibes await (choose your own adventure)! 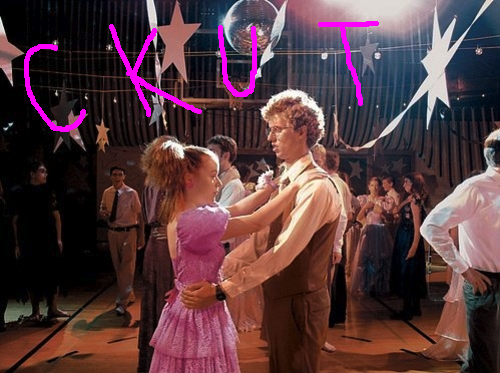 Because CKUT knows how to do it up, we’re taking this outside and partying under the sunset and stars in our backyard. The offices will also be open for roaming and mingling with the radio staff. Oh, and prior to the party, there will be a garage sale with CDs, cassettes, DVDs, and a massive amount of vinyl. Sweet deal! 5-8 pm — Party time! The CKUT offices are up 2 flights of stairs. Wear what you like (no ball gowns required), and feel free to bring a friend, a date, or go solo! See you there! No half-hearted ‘maybe’s– come on out! This entry was posted in Events and tagged deb, please, prom, stacey, will you go to prom with me on April 1, 2016 by librarian.